Twitter reacts to the news that Robert Mueller delivered his investigation to the U.S. Attorney General on Friday. Special counsel Robert Mueller looks to be a “weekend warrior.” On Friday, he delivered the findings of his nearly two-year investigation into President Donald Trump and Russia to Attorney General William Barr. Details of Mueller’s findings have not been released. The news ignited the denizens of social media, who responded with thoughtful commentary, less thoughtful commentary, and fresh memes. The internet, unlike a special counsel investigation, moves fast. 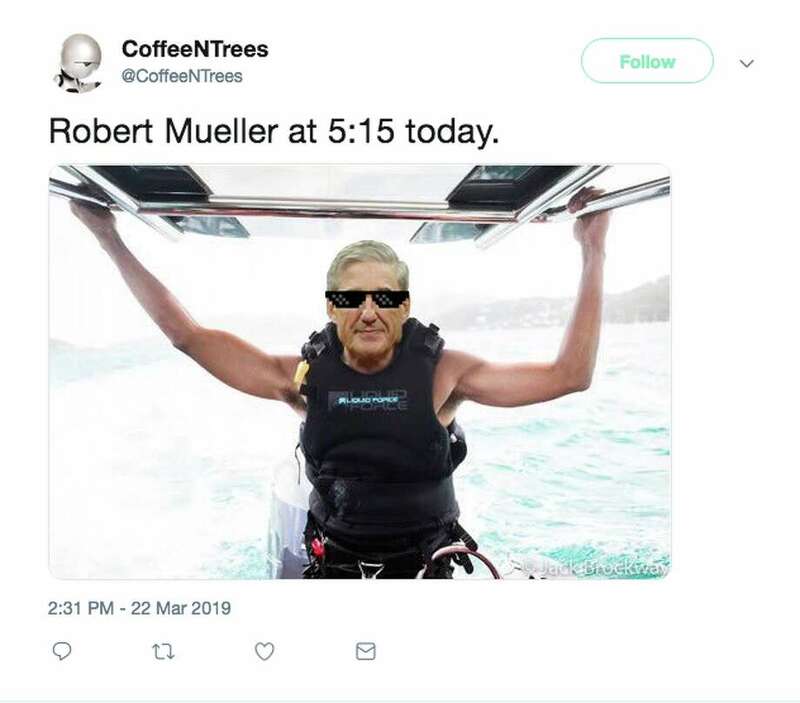 Some of the latter included Mueller as Obama-on-a-boat, Mueller as Beyonce in “Lemonade” (changed to “Kremlinade”) and Mueller as romance novel protagonist. To each their own. It wasn’t all fun and games. This being America, both sides of the political spectrum took to Twitter to speculate about the contents of the report and, most importantly, to decry one another’s idiocy. Lots of “impeachment pending!” posts from the left, and plenty of “nothingburgers!” from the right. “Mueller is such a drama queen, trying to steal the glory of national puppy day for himself,” tweeted @morninggloria. It’s a lot to digest, so SFGATE sorted through some of the thousands of tweets. The highlights are in the above gallery. Read Michelle Robertson’s latest stories and send her news tips at mrobertson@sfgate.com.